Here we go again! We’re getting an early start this year, and are excited to announce that we’re already deep into the planning stages of Tenstreet’s 3rd Annual User Conference! We have heard so many great things from our clients about last year’s venue at the extravagant Venetian | Palazzo in Las Vegas that we decided to return in 2019. We expect to double the number of attendees in 2019, providing our clients with more chances to network with even more of their trucking peers. Over the last couple years, we’ve gained quite a bit of experience and thankfully have received a lot of valuable feedback from our clients. Because we want you to get the most out of your time, we’ll be changing a few things in 2019. Tenstreet Table Topics: We recognize how indispensable peer relations are in trucking. Every carrier tends to do things a little differently, has its key strengths and focuses, and has a lot to share and learn. So at our 2019 conference, we’ll be adding more peer-networking opportunities that will further enhance our clients’ experience, making the event even more productive. To pull even more out of our time together, one of the things we’ll be introducing is Tenstreet Table Topics. These will take place during our lunches to give clients the chance to learn more about a service from a Tenstreet expert. Experienced users can use the opportunity to join the conversation and trade ideas on best practices. Newer users can join to learn more about a service, ask questions, and listen to how others use the service. Break-out Schedules: We cover a wide breadth of topics during this 2-day conference, and realize that every client has different needs. In 2019, we will be evolving to a breakout-session schedule to allow clients to attend the topics that are the most relevant to them. Tenstreet is used by more carriers and more drivers than any other platform, which makes this event unique and affords you the opportunity to gain coveted insights into the ever-changing driver market. Additionally, we guide you through best practices and explain functionality so you can be sure to get the most out of the Tenstreet platform and its services and tools. 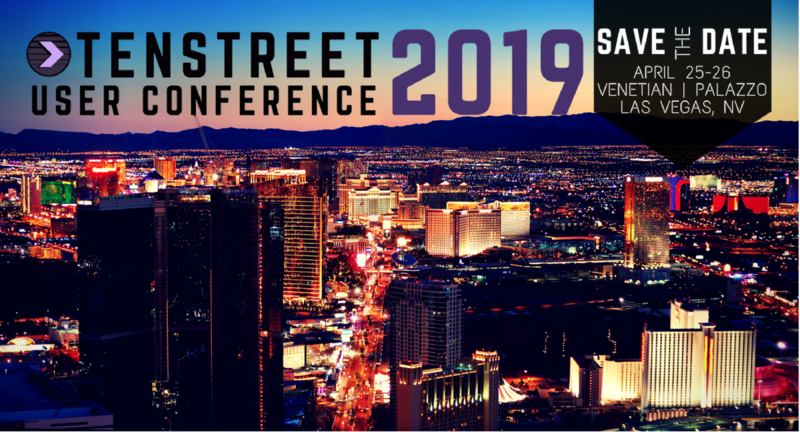 Our clients tell us repeatedly that no matter how much they think they might know, this conference always gives them a breadth of information to take home and apply – not only about Tenstreet services, but on market trends, best practices, and industry news as well. Think your company is too small to benefit? Our clients also confirm that all sessions are scalable and applicable to carriers both small and large. If you have questions about whether or not our User Conference is right for you, please email us at userconference@tenstreet.com. We’d love to talk with you. Register today to ensure your place at the 2019 User Conference. Space is limited! I cannot wait for next year. It is my favorite conference each year!! We’re so glad you love it as much as we do, John! Thank you so much for the compliment!